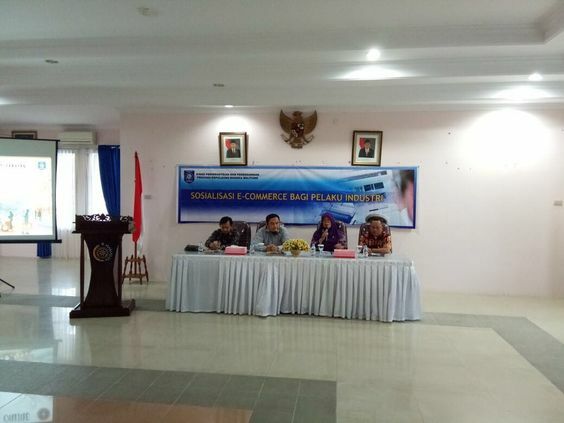 This E-commerce development strategy became one amongst the efforts of the Provincial Government of Bangka Belitung through the Department of Industry and Trade as an effort to encourage the development of small and medium enterprises by involving various stakeholders both government, private, and community components. "Nowadays, market share will be bigger but on the other side our product is demanded to be better, in order to be not evicted in competition. 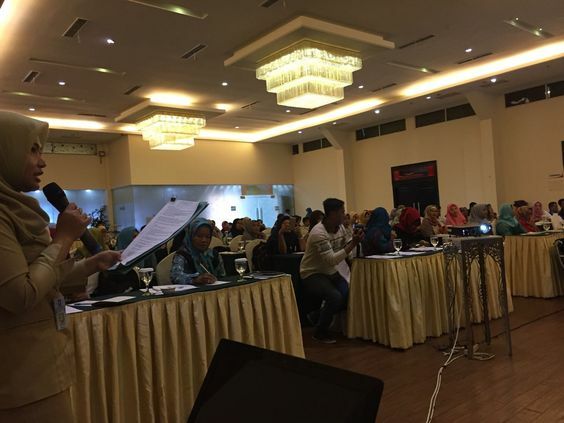 Bangka Belitung has a big potency to be developed by a synergy of industrial and government players so that Bangka Belitung community becomes a player in their own country," Suryati said. 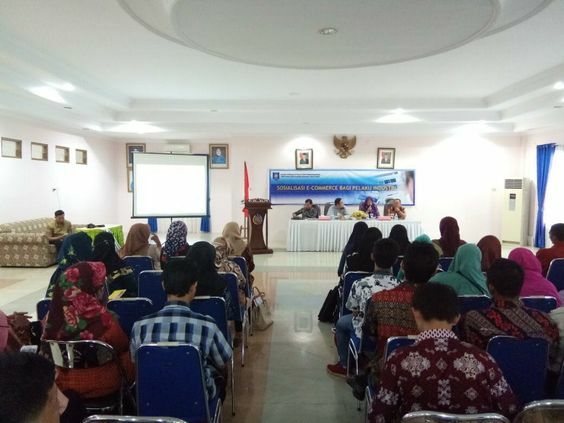 This socialization event presented two speakers, namely Reza Saputra from the Office of Communications and Information Technology of Bangka Belitung Islands Province and Aldo Bangsawan from Boomer Marketing App of Brandpier Inc.
Reza also said, “Significant changes occur in the trade industry at this time, the shift in the world of commerce from conventional to the digital mode such as online sales by utilizing technological advances. Utilization of social media in selling good products and services for industry players can provide maximum benefits, such as by conducting online transactions. Business actors do not need to spend big capital in running a business," He also explained during the event that, the reach of the market through e-commerce is very wide and has no limits. That anyone can see the superiority of the product offered. Reza also said that the community is in full control in transactions because it is done anywhere and anytime, and that to develop any business using Boomer Marketing App is very easy and simple. 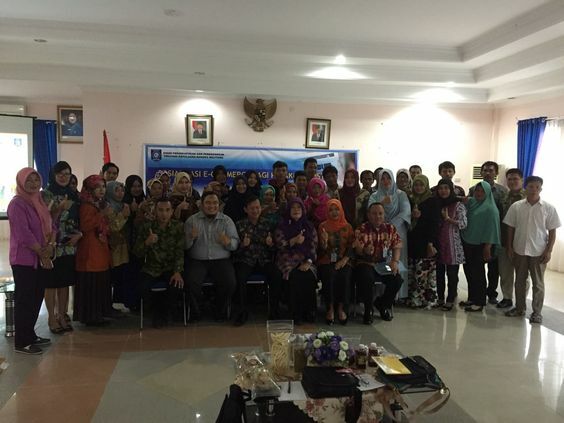 These two events were conducted in Belitung on 11-Nov-2017 and Bangka on 22-Nov-2017 respectively, with the invitation extended to Boomer Marketing App by the Department of Industry and Commerce of Bangka Belitung Province as "Narasumber" (which means someone who is an expert of a product, who can explain to people and do training about the product itself) to explain about e-commerce and how to make them go online and be able to sell their products nationally and globally. Here, at Boomer Marketing App, we are absolutely honored and proud to share our contribution to the event with all our Partners, future Clients, and visitors. We look forward to extending more similar contributions to broaden the horizons of all Small and Medium Businesses and Entrepreneurs. The Perfect Digital Marketing Strategy for an E-commerce Business. ©	2018 Boomer Inc. All Rights Reserved.